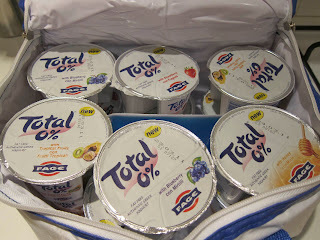 TOTAL have brought out some new snacking yoghurts. 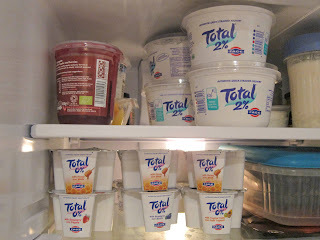 Being something of a fan of their plain Greek range (I scoff a bowl of 2% most mornings with fruit compote and added whey protein), I was eager to give them a go. They're sort of like Muller's "Fruit Corners" and build on the existing TOTAL 2% with honey corner, but these new ones are 0%. Flavours so far are Blueberry, Strawberry, Tropical Fruits and Honey. So far, we've tried the Blueberry, Honey and Strawberry and the Strawberry is pretty darned nice, though I found the fruit to be over-sweetened (thankfully it is actually sugar and not aspartame or anything else in that vein). Apparently the Blueberry one was really sour and grainy, but I've not tried that one yet, so. The Honey one suffers from being yoghurt and needing to be in the fridge but having honey which pretty much solidifies if you do that so you need to leave it out for a bit before trying to eat it otherwise you just end up with a hard lump of honey with a thin covering of yoghurt on it and it just won't mix in. I think it's going to be handy to keep a pot or two in the fridge at work for those times I cycle in and had something else before I left the house and need a top-up when I get in to the office. Given that it's low fat yoghurt with fruit compote, all I need to supplement is some whey powder as that makes it exactly what my normal breakfast would be anyway. 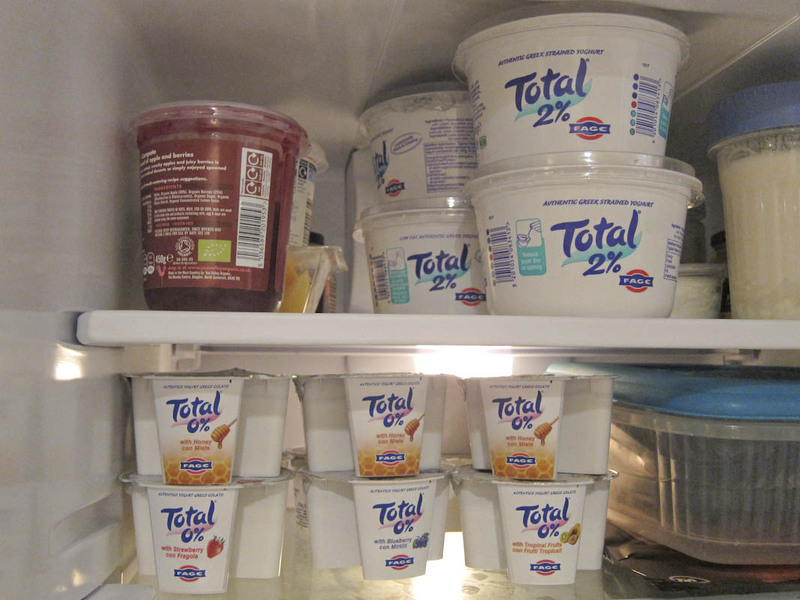 More convenient than keeping a large pot of plain yoghurt and a tub of compote and not really getting through them and ending up throwing some away. And I'm all about the not wasting food (I really can't believe how much most people throw away; utterly shocking to me). In the mean time... I need to try one of those blueberry ones myself to see whether my views on it are the same as Mr TOTKat's views.